FRANKFURT – Volkswagen AG reported robust sales of its core brand last month as demand from abroad offset a slowdown in western Europe. Global deliveries of the VW brand increased 10.4 percent to 430,800 units in October, the company said on Tuesday. Sales in the first ten months of the year rose 12.1 percent to 4.24 million. European car sales figures have been reflecting weak consumer confidence in the region as Europe faces the possibility of another economic downturn. So far, strong sales abroad have helped German carmakers offset the slump in western Europe. "The brand Volkswagen cars are still on a solid growth path in terms of sales," Volkswagen sales chief Christian Klingler said in a statement on Tuesday. "We are observing the current development on global markets very closely due to economic uncertainty," Klingler added. Ten-month sales in China were the strongest, with VW reporting deliveries of 1.45 million cars, a 11 percent increase over the previous year. 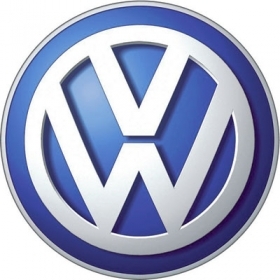 VW brand sales in Russia more than doubled to 91,000, a rise of 100.4 percent over the same period in 2010. Overall in Europe, sales rose 9.9 percent to 1.44 million in the first ten months, but in western Europe, the rise was just 4 percent. In Germany, Volkswagen brand sales defied a regional turn down by growing 9.9 percent to 498,400 deliveries in the first ten months, while in the U.S., the brand grew deliveries to 263,500 vehicles, a 23.8 percent rise on 2010 figures. VW aims to pass Toyota Motor Corp. and General Motors Co. to become the world's best-selling automaker by 2018. In 2010, VW group sold 7.14 million units, behind GM with 8.39 million and Toyota with 8.42 million.